Product #18308 | SKU BR-2BATT-KIT | 0.0 (no ratings yet) Thanks for your rating! 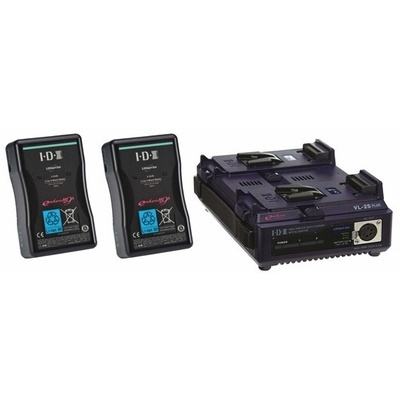 KIT INCLUDES: Two IDX E-HL10DS Lithium-Ion Batteries and One VL-2PLUS 2-Channel Quick Charger. The IDX E-HL10DS is a lithium ion, V-Mount battery. It offers 95Wh for 14.8VDC equipment in a compact package.